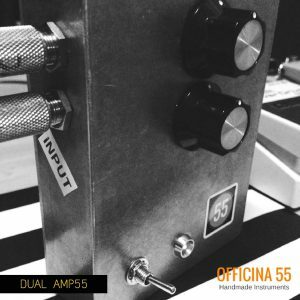 The instruments and effects of OFFICINA 55 are handcrafted and manufactured exclusively on commission. 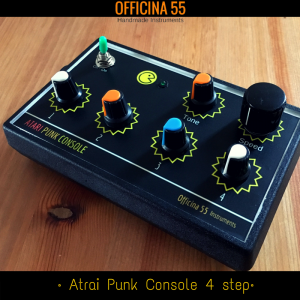 The Atari punk console is a 4-step sequencer with sound inspired by the classic “80s” consoles. It is a creative and very funny instrument. 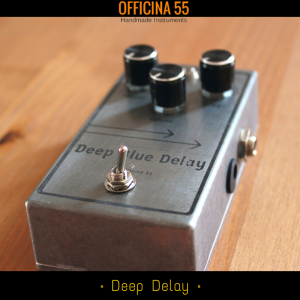 The Deep Delay is good simulation of classic Tape Delay sonority. This effect is totally hand-built with the best components to ensure stability and durability. 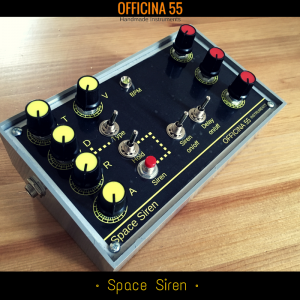 The Space Siren is a synthesizer based on oscillators that modulate a variety of waveforms alternating, their sound is a classic in the DUB music and Raggae. Thanks to the integrated analog Delay effect, it is a complete instrument for live performances. 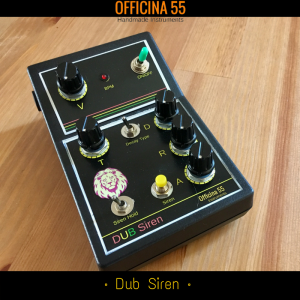 The Dub Siren Synthesizer is a functional and creative sound generator based on oscillators. Thanks to its variable tonalities and the controls it provides, the user can easily emulate any type of siren. The DUAL AMP55 is a seemingly simple Preamp, but it has incredible potential to improve your sound. This is undoubtedly a very interesting option for those looking for an extra volume and dynamics in their sound. With 26 dB boost per channel, it is a quiet (no noise) and very versatile preamp. 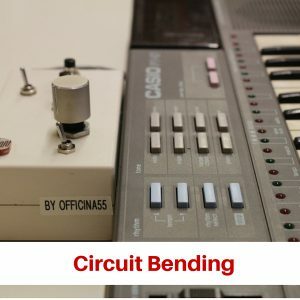 We modify and customize circuits of obsolete electronic devices with circuit bending technique.